I love the journey of my life and seeing where it has led me so far. I have always been a dreamer and a dancer to the beat of my own heart. In a culture where it is sometimes easier to hide our true selves in order to either be accepted or to please someone, I believe in breaking molds and risking failure on a regular basis…all in the name of growth and service. Through my choices, actions and visions, I hope to encourage others to break down mental, emotional and physical barriers they hold within themselves. It is my gift to see potential and possibilities for everything and everyone. 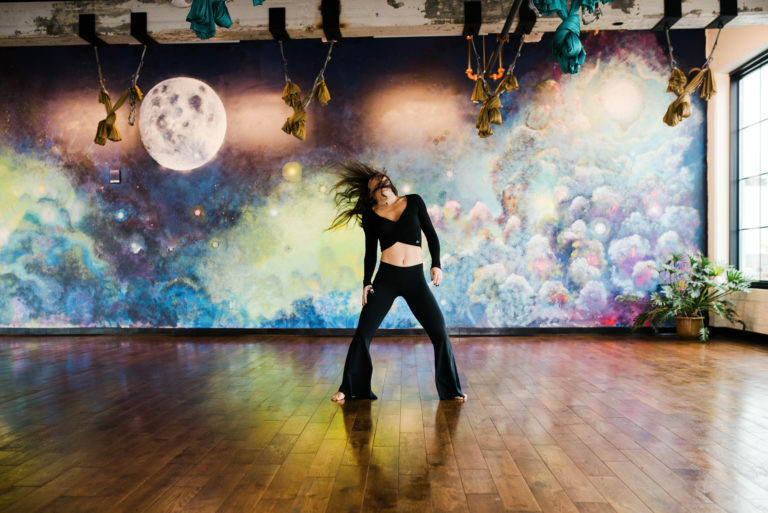 I am a passionate Mixed Movement Artist, fully committed to awaken people’s ability to cultivate a deep sense of self-awareness using the body as a vessel to do so. Because of that, I have birthed my acupuncture practice, the Movement Lab, the Today is the Day journals and two beautiful boys, Finley and Durban, who remind me every day that nothing in life is constant! And, many times, this feels like just the beginning. Who knows what’s next? I don’t move to look a certain way. I move to feel the full range of sensations and emotions available to me. I look for ways to continue peeling layers of myself, one at a time, to crack my heart wide open, to connect with the god and goddess within, to be reminded of my “enoughness,” to freeze time and space and be with the here and now… that’s why I move. If any of that resonates with you, then come find me in any of the areas in which I move. Nia has brought me back to my body like no other form of movement ever has. When I am dancing Nia, I awaken to the connection this body has to my life force, my power. I embody my true nature and I go deep. It is the closest I feel to my divinity, that part of me that is greater than myself, that just knows, that creates. When I hear the music, I start moving to it and I no longer have control over my body. I feel at ONE with everything and everyone around me. 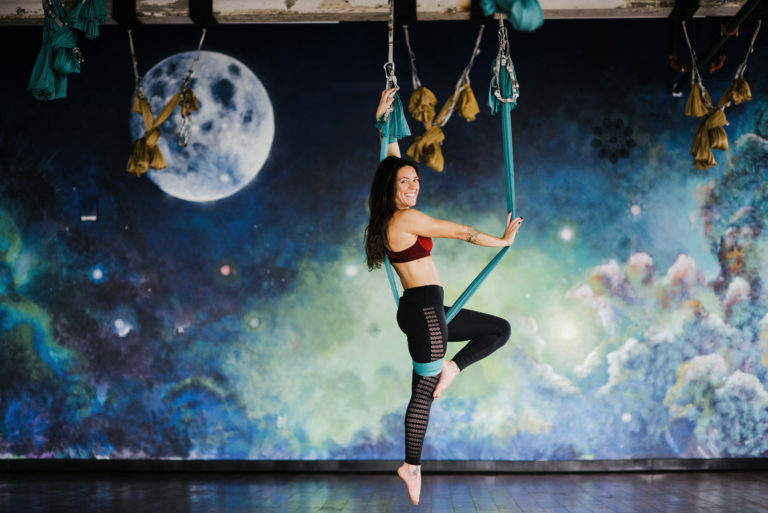 AntiGravity Fitness has helped to push through so many fears of letting go. Flips and tricks teach me how to trust the process…restorative postures teach me trust in a different way—to surrender to all that is present in any moment. This practice is also deeply healing anytime a physical pain manifests. My role as an AntiGravity teacher is to remind my students that they can be stronger with each breath, that the deeper they sink and surrender into the hammock, the more they will feel into their own beauty and strength. In my own life, time away is much needed in order to recharge and continue to tap into the well of inspiration, and keep serving myself, my family, friends and students. None of us can give from an empty cup. In order to be successful, I must be willing to lead by example. My retreats are an invitation for people to join me in this practice. We’ve been taught that going away is a luxury, but I see recharging as a necessity. 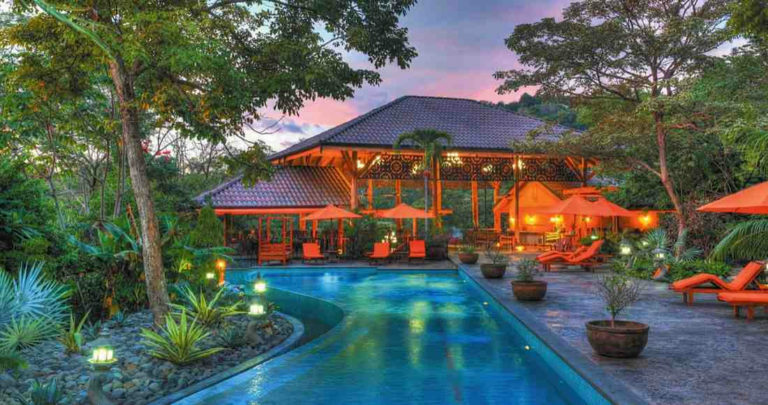 Experience the magic of Costa Rica with exquisite organic food, luxury accommodations, salt water infinite pool, beautiful beaches, waterfalls, lush jungle and juice bar just steps outside your door while being guided through 7 days of inspired movement, connection and community including Nia™, Yoga, AntiGravity Fitness®, Meditation, JourneyDance™ and more. 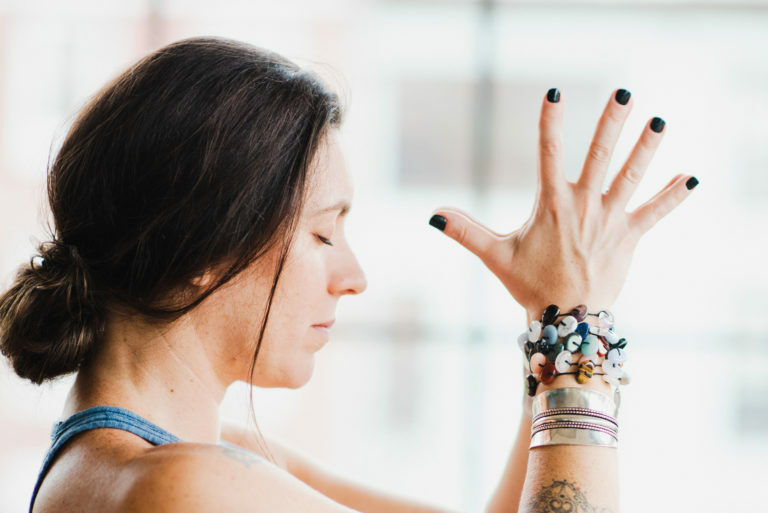 I see workshops as “mini” retreats…a different way to tap into our inner wisdom a little more often, empowering us all to be in a place of self-inquiry, questioning our own beliefs and actions and then moving into our lives from that place of deep intention. To me, there is nothing more rewarding/special/magical/divine/magnificent/extraordinary than witnessing someone stepping into their greatness. As a movement artist and a life practitioner, I am constantly pushing beyond my comfort zone, learning new ways to grow and expand the walls of what my own greatness can look like. This is how I approach my role as a mentor. I don’t claim to be better or to know more. I merely hold very high standards for these adventurers so they have the freedom of riding all the waves that come with growing, reminding them time and again who they really are: pure perfection. I simply hold up the mirror for them to see themselves even beyond their potential. I love asking questions and allowing people the opportunity to find out for themselves the places where they feel stuck. I support people’s movement forward with a lot of love and accountability, which can look like “tough love” sometimes. There is nothing more soul-filling for me than traveling around the globe sharing my passion for movement by offering special classes and workshops. From October 13-14 I’ll be in Denver, CO at iBODY. 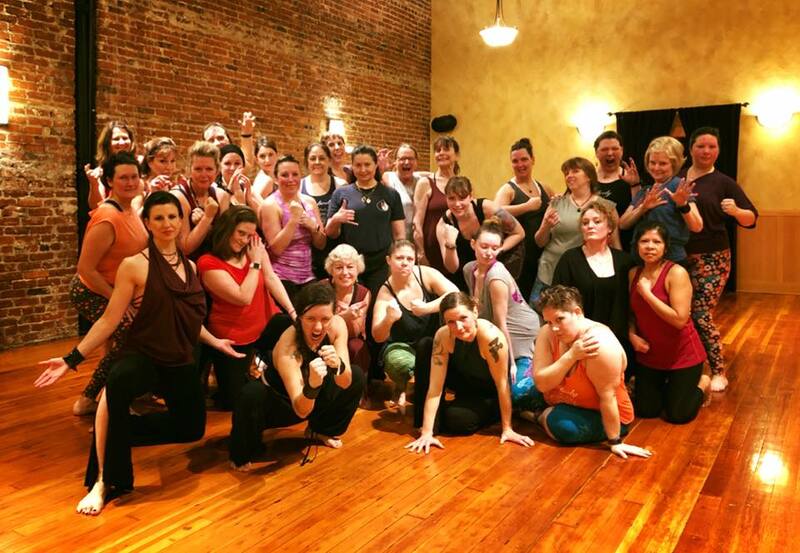 From January 25th–27th I’ll be at Embody Movement Studio, in Centralia WA. Acupuncture grounds me like nothing else. I started receiving treatments as a little girl growing up in Brazil, thanks to my open-minded parents. Each treatment lifts a veil of heaviness that accumulates from the day-to-day grind of life, and even today, when I receive a treatment I am brought back to my core and reminded who I really am. This is what I want to offer each and every one of my patients. 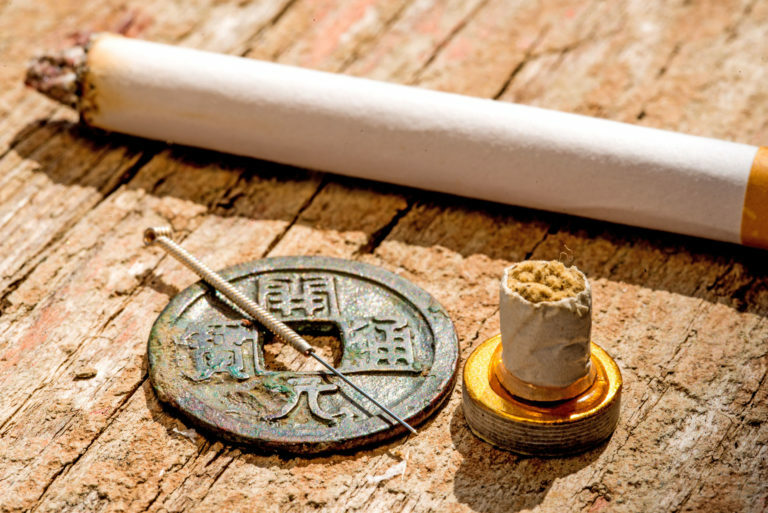 For the past couple of years, I have been redefining my role as an acupuncturist. The conversation has shifted from a statement to a question: from “let me fix you” to “how can I serve you in this moment?” I understand the immense benefits of this medicine for physical symptoms and… I also believe that it takes deep partnership between me and my patients to get to the bottom of what’s really going on. 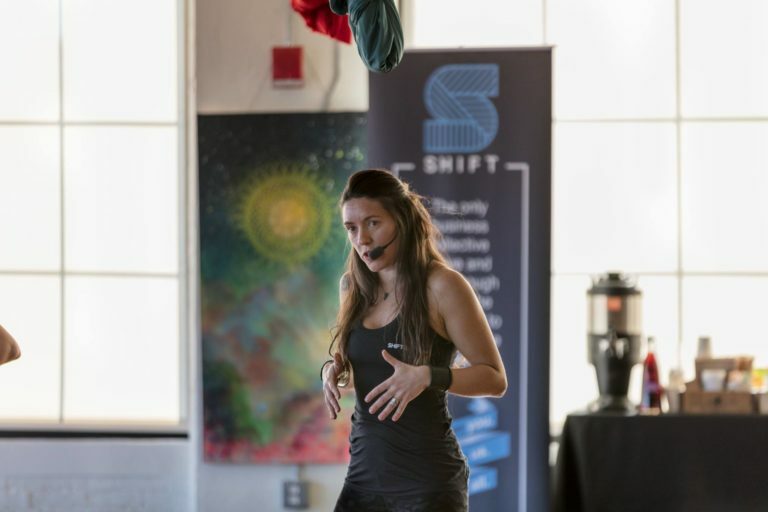 Speaking engagements are a way for me to connect to a broader audience about who I am, what I do, and how movement is our natural birthright, accessible to all. Whether I’m talking about movement, health and wellness, the Nia technique, or women stepping into their power, it’s a way to relate. No stage is too great or too small; I’ve done everything from a TEDx talk to addressing my sons’ classrooms. Each engagement is an opportunity to invite more people into the movement! 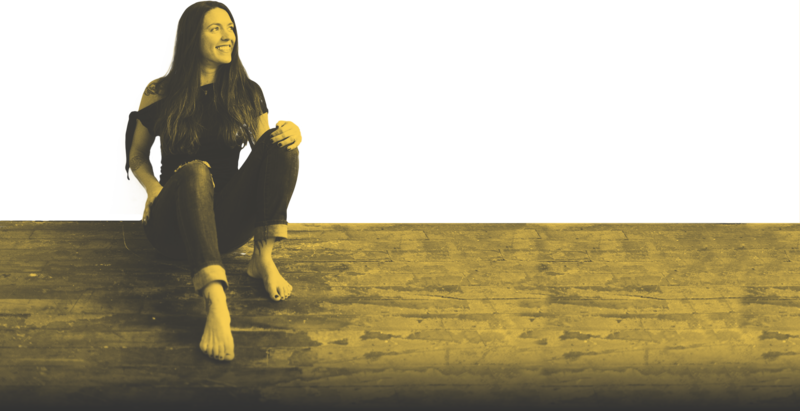 I created Movement Lab as an invitation for people to reconnect with their own joy and pleasure of “habitating” a body, to leave all labels at the door, get back into their sense of playfulness and to see fitness as a consequence of why they are moving, rather than the goal. We talk about aging well, about feeling good physically, mentally and emotionally, and we spread that wellness into all other aspects of our lives. 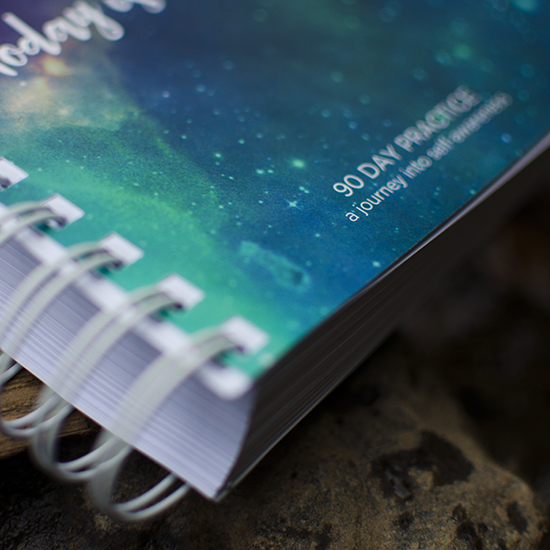 The Today Is The Day Journal is a 90-day workbook for anyone to use. 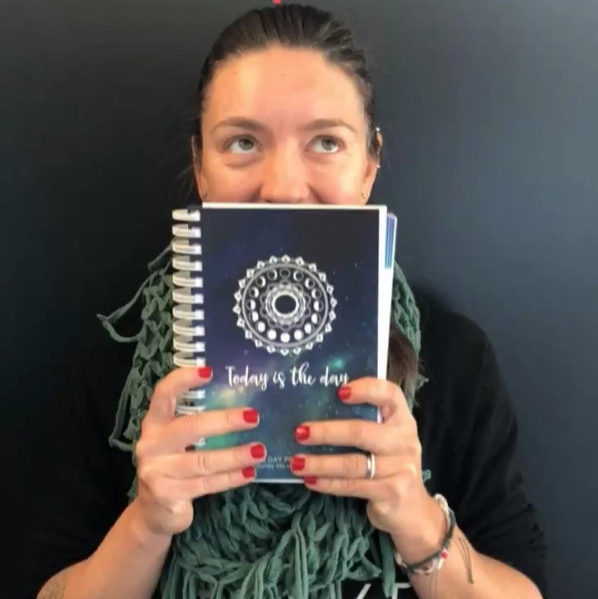 All of the practices in this journal are ones I’ve learned from mentors and teachers over the years and used for my own self-discovery, and I wanted to share these practices with the hopes that they will serve others in their own journeying. 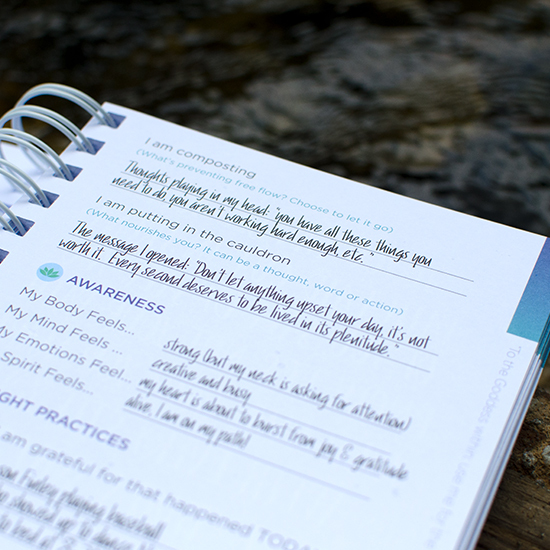 The daily accountability and practices in the journal allow each person to understand and to offer love and compassion the self...and to others. Buy it now Interested in Wholesale? 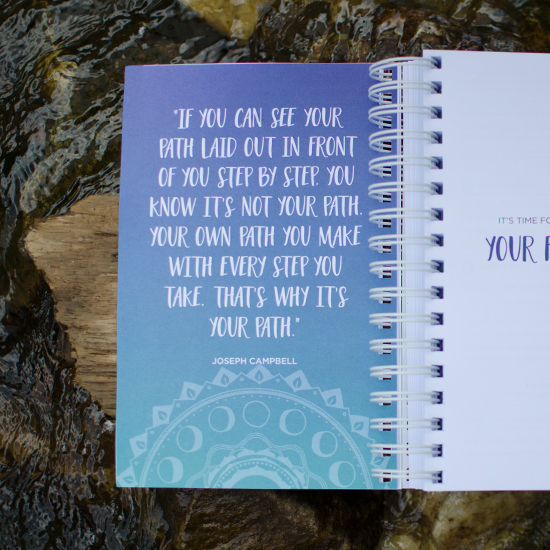 Thank you for your interest in my journals! First time orders must be pre-paid by check or credit card and require a minimum of 3 per title / 12 total. Net 30 credit billing is available upon request for subsequent orders. Orders paid late will revert to pre-paid. To place an order you can email me at Lola@themvmtlab.com You can also call me at __________. I create a new playlist for NIA classes every week; hear that playlist now! © 2019 Lola Manekin. All Rights Reserved.